Al Naboodah Construction Group (ANCG) has named Colin Timmons, current chief operating officer, as its new CEO. 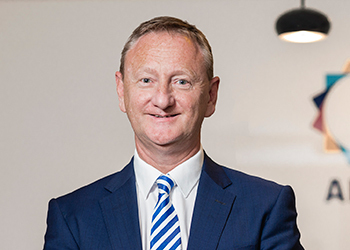 He succeeds Steve Lever, who announced he will step down as CEO of the group with effect from July 1, 2016 after almost 30 years of service to the company to assume a strategic advisory role to the company. Timmons will formally take over full responsibility from July 1. His transition to the CEO role comes after joining Al Naboodah Construction as COO earlier this year. He has held senior roles with major UK-based firms, and for the last five years has been general manager in Abu Dhabi for Al Faraa General Contracting.